A gas credit card can be a handy tool when the time comes to fill up your car's gas tank. However, just like with any other credit card, holders of this type of card must be sure to stay on top of payments because activity on these cards is reported to credit bureaus and interest rate fees can quickly add up. Most major gas stations offer gas credit cards to their customers. A main determinant of which card is best for your needs is which gas station you most frequently visit. This company's credit cards are affiliated with Citibank. Both personal and business shell credit cards are available. The Annual Percentage Rate (APR) for both cards is 24.99% and will vary with the market prime rate. Shell Drive for Five Card: Cardholders receive five cents cash back for each gallon purchased that month, up to 100 gallons. There is no annual fee for this card, but it can only be used at Shell gas stations. Shell Premium MasterCard: This card provides 10 cents cash back per gallon if you spend at least $500 in a billing cycle. These merged companies offer three personal credit cards as well as business cards. The three personal cards offer zero fraud liability to holders. Card APRs are 26.99% and are variable with the market prime rate. Chevron and Texaco Card: This card gives holders access to cash from any Cirrus ATM, but can only be used as a charge card at a Texaco or Chevron gas station. Holders have zero fraud liability, and new cardholders receive ten cents per gallon in fuel credits for the first 60 days. Chevron and Texaco Premium Card: This card can be used at any Chevron or Texaco gas station. Holders of this card enjoy discounted hotel rates, preferred rental car rates, and 5% rebates on gas purchases. There is a $25.00 annual fee for this card. Chevron and Texaco Visa Card: This card is accepted everywhere Visa is accepted. It has no annual fee and provides cash access to holders. Rewards include fuel credits, the amount of which depends on how much is charged to the card each month. Sunoco offers consumer and commercial credit cards. The company's consumer credit card is affiliated with Citibank and can only be used at Sunoco gas stations. The card has a 24.99% variable APR and no annual fee. Sunoco Card: This card gives a five-cent instant savings for every fuel purchase. Holders have cash access through nationwide ATMs and have zero fraud liability for unauthorized purchases. This company offers personal and commercial credit cards. There are two personal credit cards available. Personal cards are affiliated with Citibank, can only be used at ExxonMobil gas stations, and have a 24.99% variable APR. ExxonMobil Smart Card: This card requires purchasing a minimum of 45 gallons of gas per month in order to receive a six-cent rebate on the first gallon of gas every month. There is no annual fee for this card. This company's two personal credit cards are affiliated with Chase. Both cards carry a 19.24% variable APR and do not have annual membership fees. BP Card with Driver Rewards: This card can only be used at BP gas stations. Holders receive a five-cent per-gallon rebate for every $100 of purchases. BP Visa Card with Rewards: This card is usable anywhere Visa is accepted. Holders earn a twenty-five cent per-gallon rebate for every $100 charged to the card, a fifteen-cent rebate for every $100 in BP purchases, and a five-cent rebate for every other $100 of purchases made. This company's credit cards are affiliated with Citibank. The card has a 24.99% variable APR, but no annual fee. CITGO Rewards Card: This card can only be used at CITGO locations. It gives holders a five-cent rebate on every gallon of gas purchased. Holders have no liability for unauthorized purchases. These merged companies offer two personal credit cards under its two separate names: Conoco and Philips 66. All cards are affiliated with Citibank and can only be used at the gas station named on the card. Both cards have a 26.99% APR and no annual fee. Philips 66 Personal Card: This card's rewards require purchasing at least 45 gallons of gas per month. Holders receive a ten-cent per-gallon rebate for the first 90 days and then a five-cent per-gallon rebate. Conoco Personal Credit Card: Holders of this card receive a ten-cent per-gallon rebate for the first 90 days and a five-cent per-gallon rebate thereafter. Rebates are only awarded if holders purchase at least 45 gallons of gas each month. Another drawback is the often higher-than-normal interest rates attached to these cards. According to CreditCards.com, in 2013 the average credit card rate began at approximately 15%. This is, in many cases, ten percentage points lower than that charged by a gas credit card. These higher APRs mean that holders must pay off their balances each month to avoid large interest charges. Because of their high interest rates and the fact that gas purchases can be charged to non-gas-specific cards, a gas credit card isn't for everyone. Investopedia.com recommends getting a gas credit card for new drivers who don't have a credit history. The publication states that these cards can help young individuals learn how to use credit responsibly, particularly if the card has a spending limit. 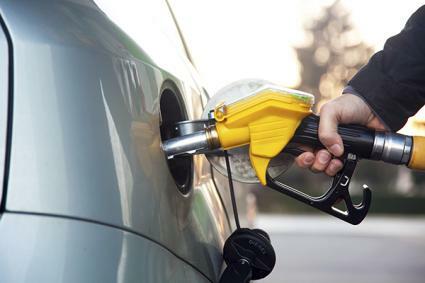 ConsumerReports.org encourages individuals who drive frequently to use a gas credit card, but only after they fully understand the rewards offered. The article also recommends that gas card-holding individuals pay off card balances every month to avoid paying high interest rates. A recent article in U.S. News & World Report recommends that individuals seeking extensive rewards should look to cards other than gas credit cards. This is because the rewards offered by gas cards are often only given for gas purchases. Cards that can be used at locations other than a gas station allow holders to earn more rewards faster, which means more cash back or points in their pockets. The application process for a gas credit card is the same as for any other credit card. Most card applications are available online and take only a few minutes to complete and process. Like the normal credit card application process, the card issuer will run a credit check prior to approving you for a card or setting your APR.